Whenever I think of the term ‘eye candy’ with relation to an Operating system, the two operating systems that come to my mind are Windows 7 and Mac OSX. I was previously using Vista, I recently got hold of Windows 7 RTM and I must say, ‘it’s awesome’. But, I never tried Mac OSX. I had seen it once on my friend’s pc and it was great. 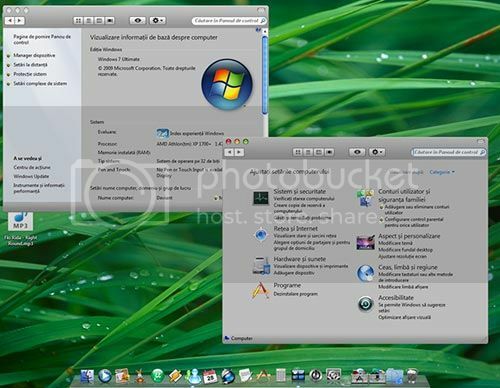 I came across a Mac OSX Leopard theme for Windows 7, unfortunately it was for RC2 and I’m using RTM. But, luckily one of my friends had Windows 7 RC2 installed. So I suggested this theme for him. This theme works only on Windows 7 build 7100.